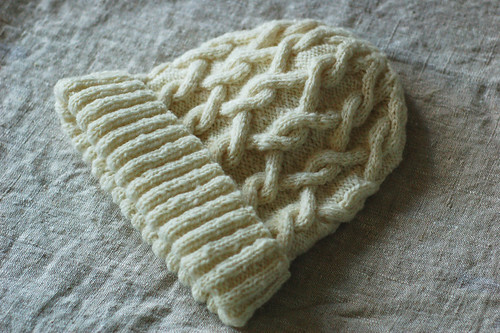 This is a very attractive pattern and a fun knit. The wool was grown in Lee, MA by Alice Field of Foxhill Farm, scoured, carded, spun, and knit by me for someone who appreciates shopping local. Here's the fleece before. I highly recommend Alice's fleece!